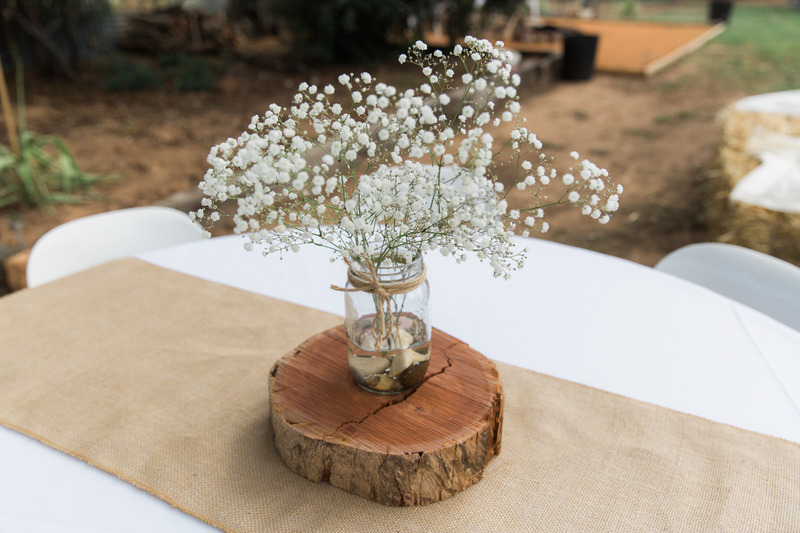 Jay Humphreys Photography & Design. 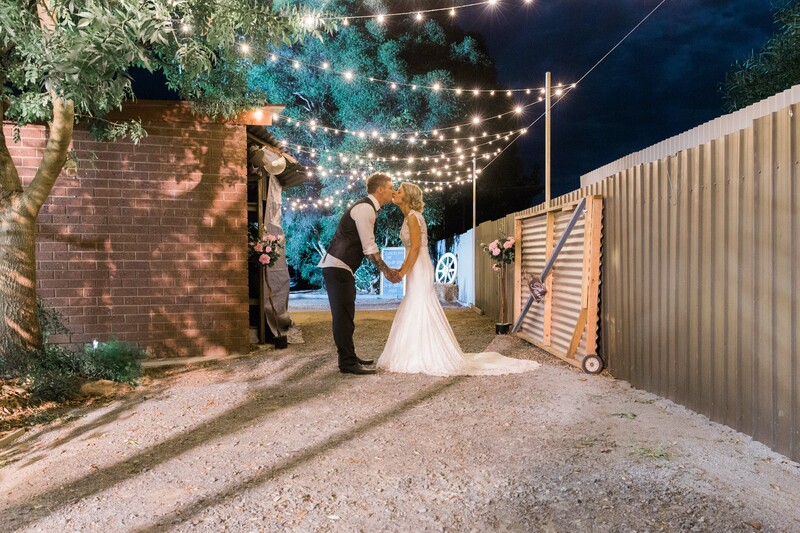 A day trip to Euroa to celebrate their four-year anniversary was made even more memorable when Jamie Calley asked Darrien Rhodes to be his wife. 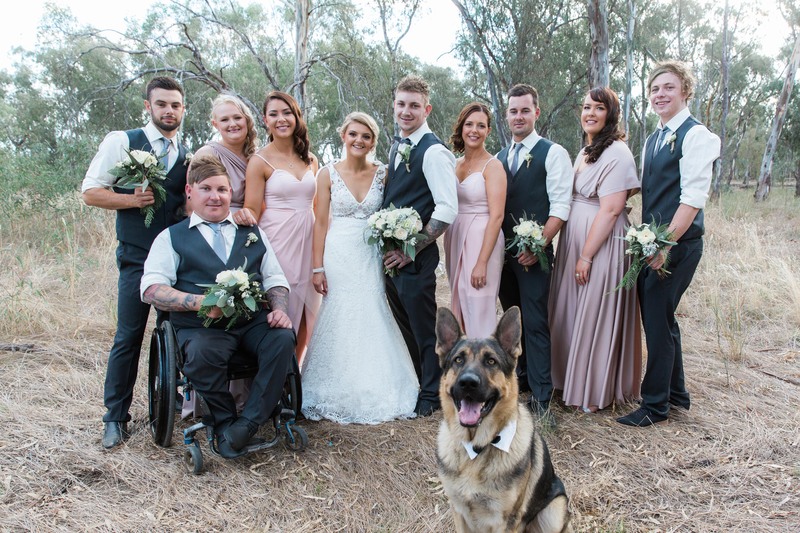 A year later the pair tied the knot in a laidback ceremony surrounded by loved ones. 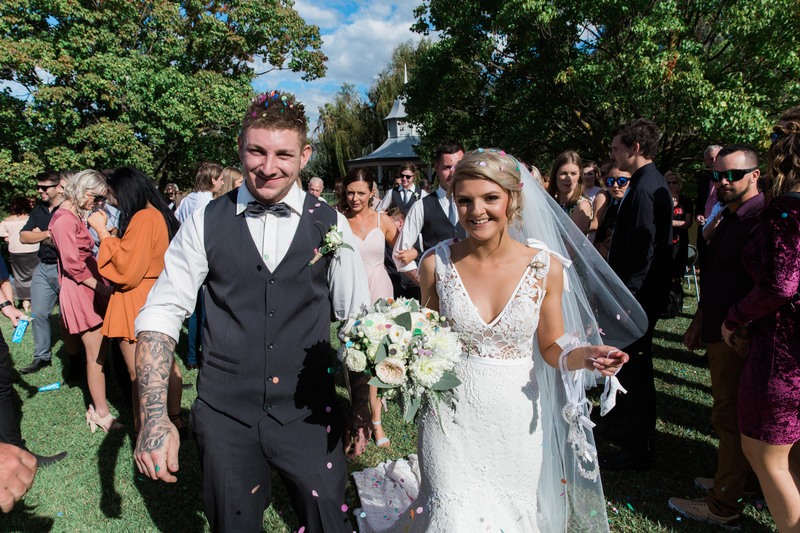 When planning their wedding, Darrien and Jamie knew they wanted the freedom to mark their marriage in their own style and without time restraints. 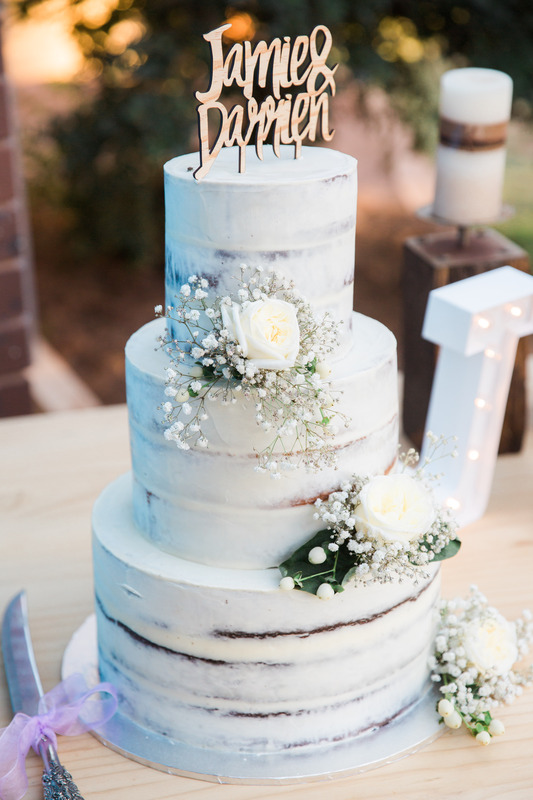 With this in mind they opted to host the reception at Jamie’s parents’ property. 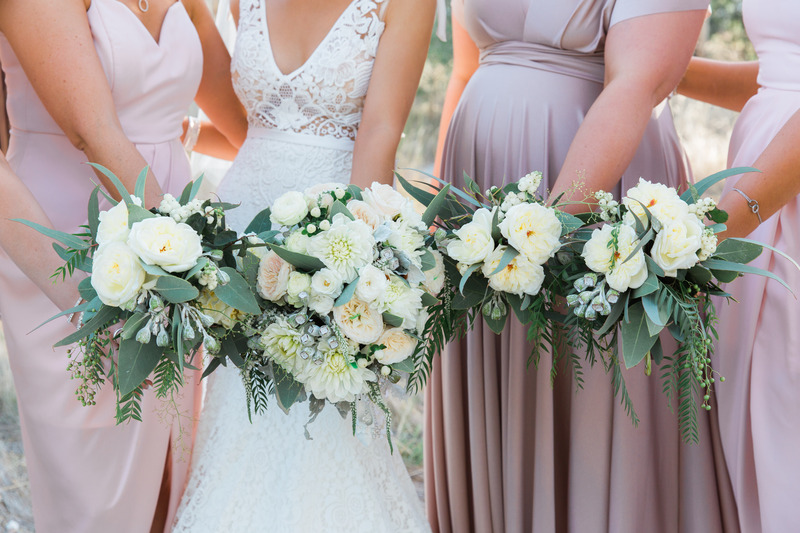 Fitting with the rural setting, they decided on a pared-back rustic theme, collecting everything they could find from vintage suitcases to old milk crates. 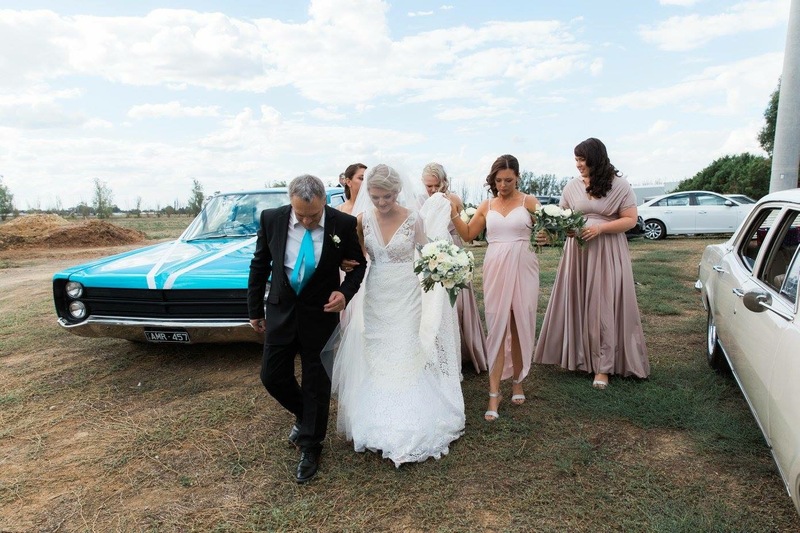 Jamie had always dreamed of doing-up an old-school car and just three months out from the wedding date he came across a Dodge Phoenix 69. With the help of a friend, he stripped it down and started again, working on it every night - including the eve of the big day. 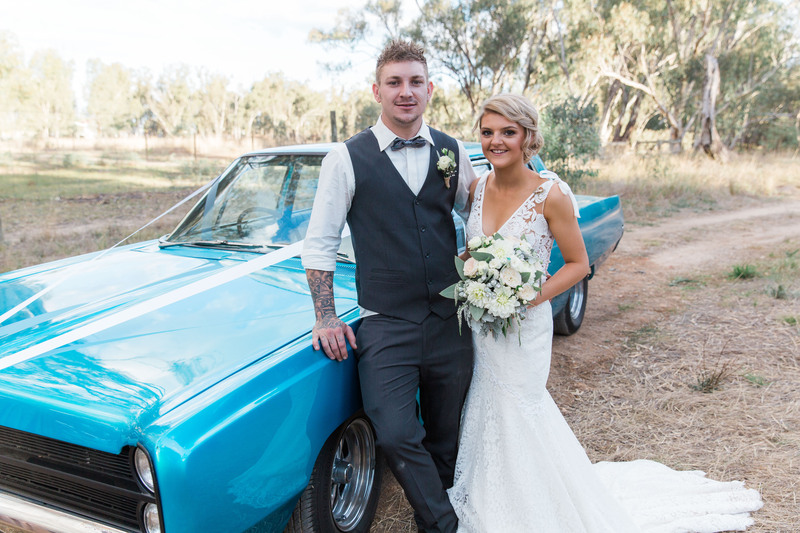 “Being able to have our own car take me to the wedding ceremony that Jamie had bought and done a full restoration on was really special,” Darrien said. 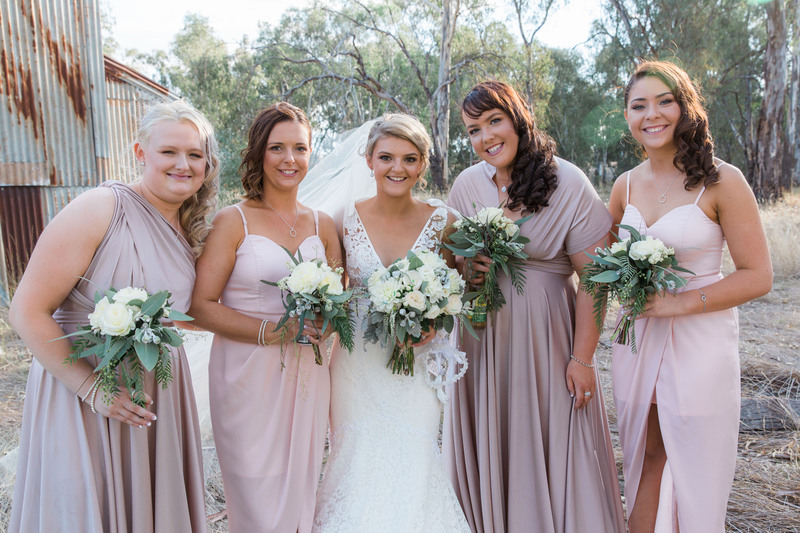 To suit their relaxed nuptials, Darrien mixed things up with two different styles of bridesmaid dresses. 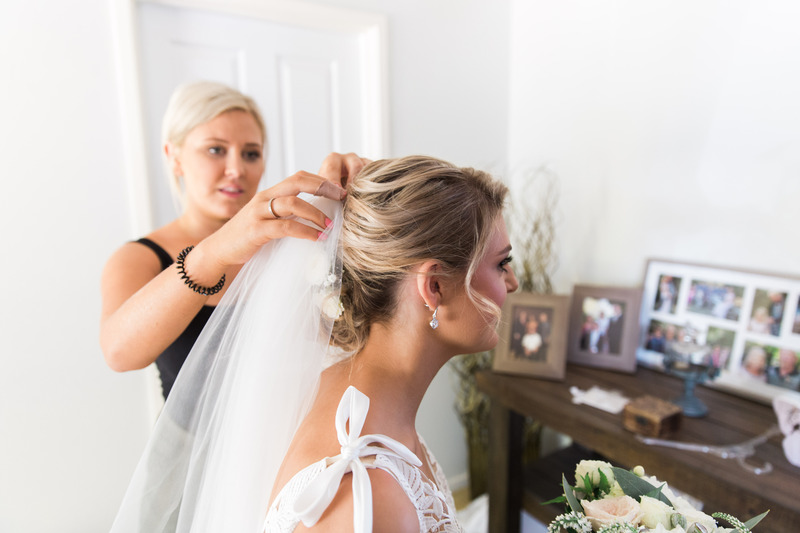 Tying the looks together with matching jewels and side-swept curls she opted out of the structure of traditional gowns, instead selecting designs that complemented each other without matching. 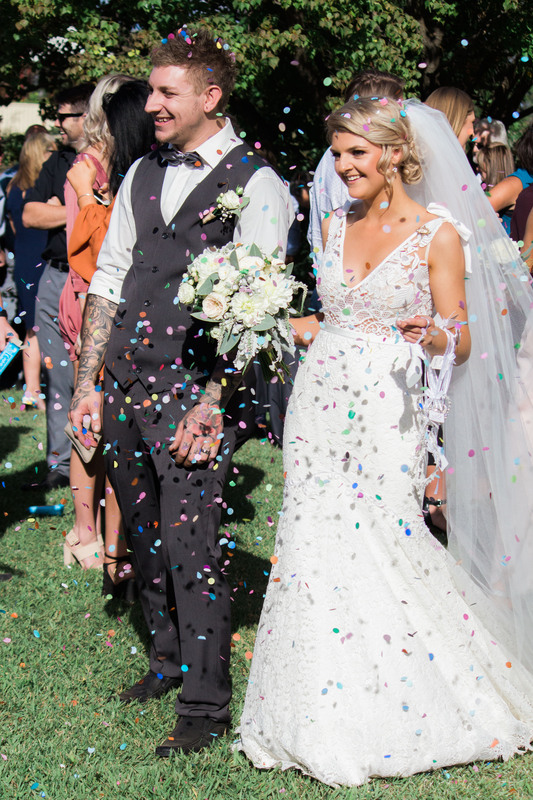 The modern lace details of Darrien's dream dress. 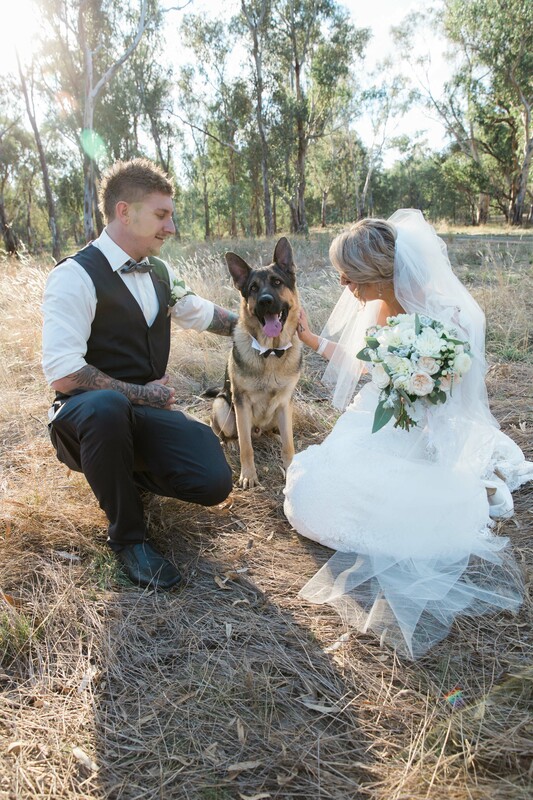 See more photos from Darrien and Jamie's wedding day over on our Instagram. © 2016 Bride and Groom, Inc. All rights reserved.